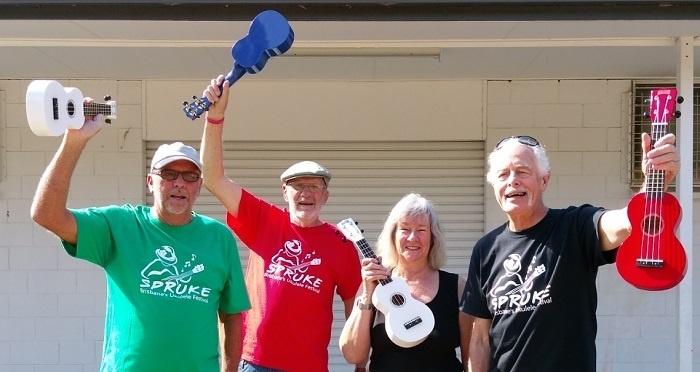 Sunnybank Performing Arts Complex (SunPAC) is the new venue for SPRUKE 2019, and there are many accommodation choices nearby which offer great options for all price points with caravan parks, hotels and B&B’s close to the venue. SunPAC also has lots of FREE parking, and is situated close to eight shopping Centers within a 10 minute drive including Westfield Garden City, Eight Mile Plains Shopping Center, and Sunny Park Shopping Center. Quest Apartments Eight Mile Plains are brand new, has all the comforts of home and are a 5 minute drive from SunPAC. Quest have given us a great affordable accommodation deal, with discounted rates and extras just for Sprukesters and their families. Check out all the info on this budget friendly offer from our sponsors Quest Eight Mile Plains HERE. OR Take the short cut and head to their website, choose your dates and use the promo code SPRUKE. Brisbane Holiday Village, and Brisbane Gateway Resort are great options for families and groups with holiday cabin accommodation, group accommodation and serviced short-term accommodation, as well as sites for caravans, motorhomes and camping – all set among beautifully landscaped gardens and with first-class leisure facilities. Both of these options as well as another three caravan parks are no more than 10 minutes away by car, or catch a bus. There are also a multitude hotel and motel options ranging all within 5 minutes of SunPAC. For a real budget option there’s Blue Magic Backpackers in Klumpp Rd, Upper Mount Gravatt but also check out some great options on Air bnb. OR Download the MyTransLink app. Check out http://translink.com.au/about-translink/connect-with-translink/mytranslink ….very handy while you are in Brisbane! Check out our Transport page for more useful links and information.